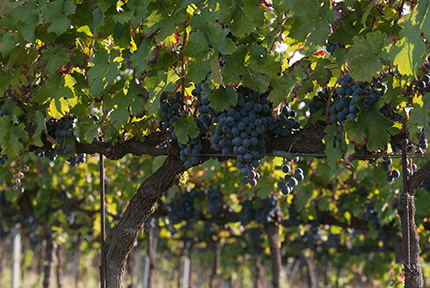 More than 70,000 vines, lined up and embracing one another in long rows, determine the shape of our fields and pathways. In our soils it is especially red grape varieties that have found an ideal habitat: Merlot, Cabernet Franc and Cabernet Sauvignon. 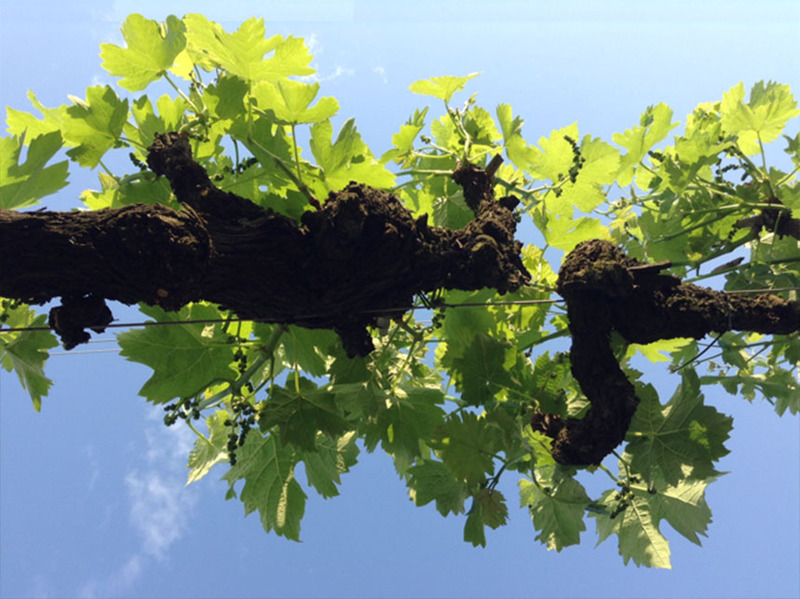 But for some years now we have also grown local vines that were familiar to our forefathers, such as Pattaresca, Turchetta and Gatta: cultivars that are now forgotten, but perhaps still have something to say even today. Only happy vines produce good grapes from which to make young, lively wines that are capable of maturing and becoming wise with age. For this reason we work hard to take care of and respect the environment around us and our vines. Spraying is kept to a minimum, the nutrition of the vines is ensured by mowing and ploughing in the grass between the rows. No herbicides are used. Alongside the vineyards hedges and trees help to preserve biodiversity and guarantee a suitable habitat for the local animal life: hares, pheasants, birds and insects are all a part of the local ecosystem. 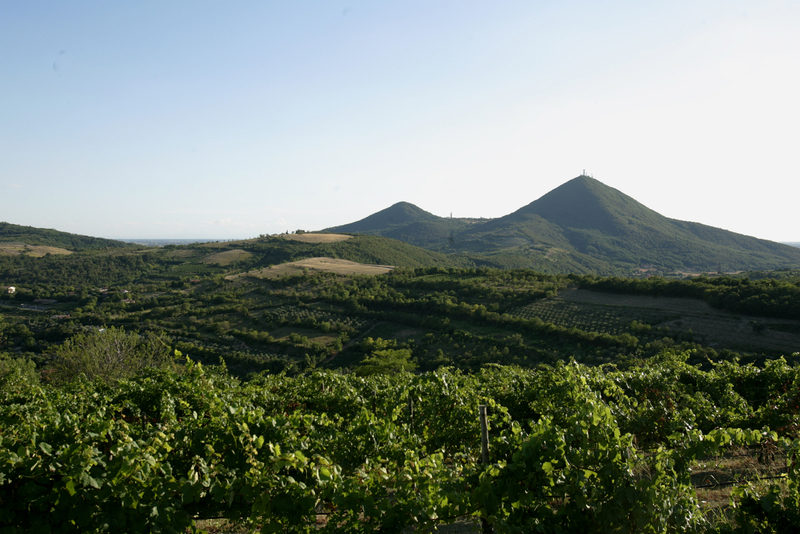 On the “Blue Mountains”, which stand out like islands in the Po Valley, vines have always been at home. 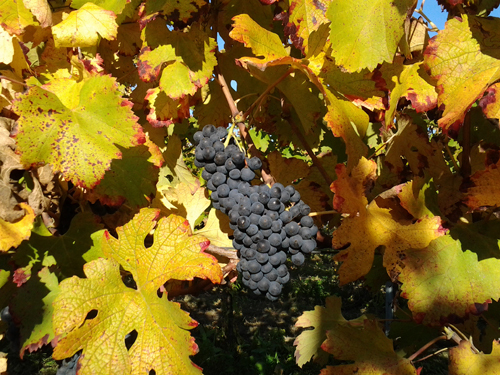 In the mid-19th century Merlot and Cabernet arrived and said “we’re happy here; we think we’ll stay”! They then started cooperating with the local growers to produce fine red wines that are at least as good as those from their country of origin. Today the Colli Euganei D.O.C. 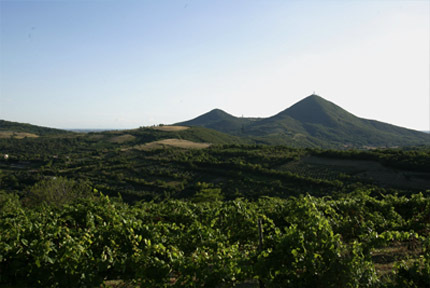 – created in 1972 – covers an area of 2,500 hectares. 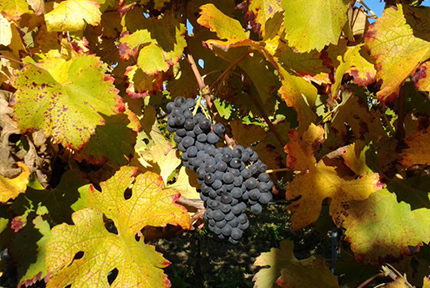 The most widely-grown varieties are Merlot and Cabernet among the reds and the white Garganega, Glera, Pinot Bianco, Moscato and Fior d’Arancio. The Republic of Venice found its supplies of food and wine in the city’s hinterland, and in the Padua area it stocked up with concentrated, well-structured reds. The Friularo was one of these, and perhaps the most important. The “Friularo” ecotype belongs to the family of the Rabosos, and is the typical variety used to make Friularo di Bagnoli D.O.C.G.. The wine produced from it is has a very marked character and almost invariably has considerable acidity and tannin components, which give it great longevity. For this reason they say that the Venetians called it “vin da viajo” (“a wine that travels well”),because it could be preserved for a long time on their ships.